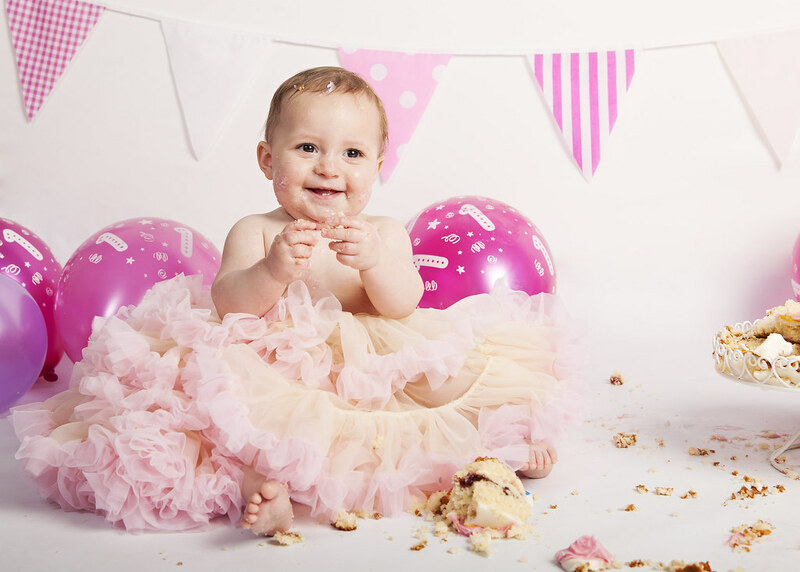 If you would like to book a cake smash studio session for your little one’s first birthday click here to find out more about session fees. 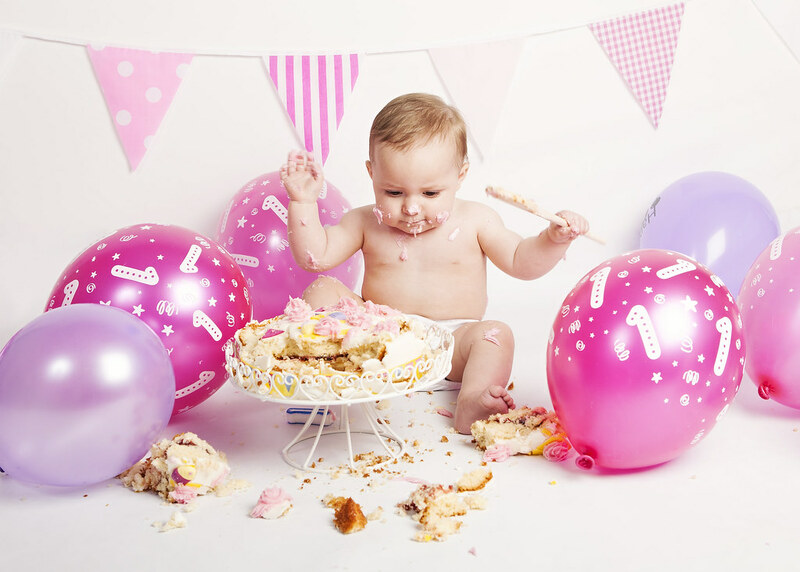 I loved this session…a fun little birthday girl, a yummy cake and some splashing of water ...what’s not to love? So after a few photos to warm up we got the cake out and it didn’t take this one year old long at all to get into it..literally! 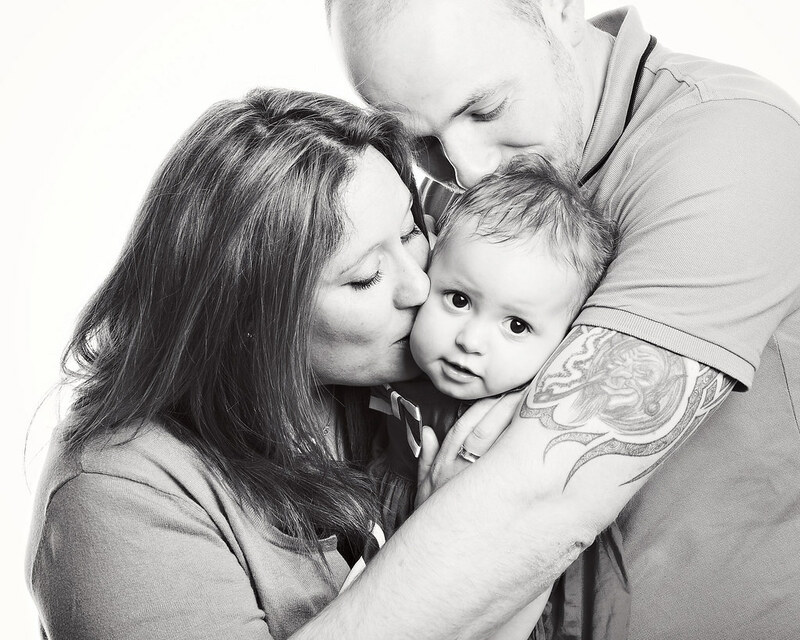 She was such a cute curious little thing, think she is going to be a real party animal when she grows up! 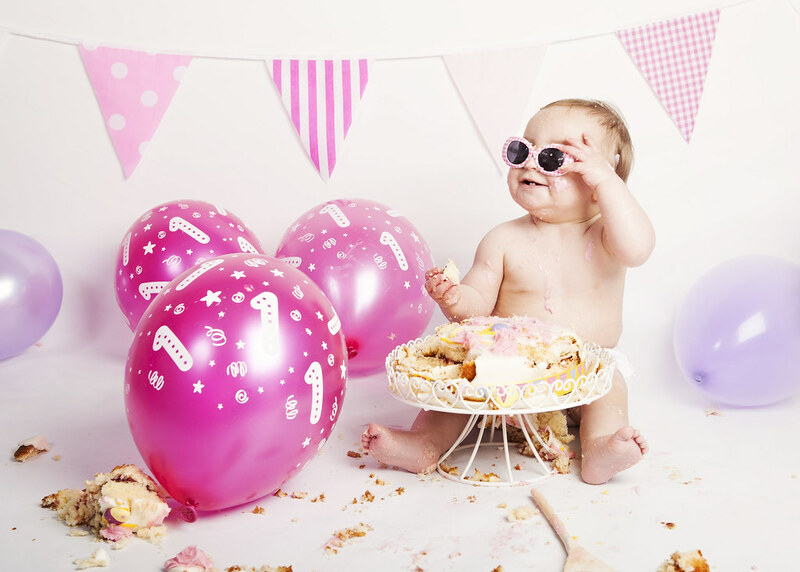 A lot of mess, some bubbles and lot of cake later we got the sunglasses out which always prove a hit with the little ones and Darcey was no different. 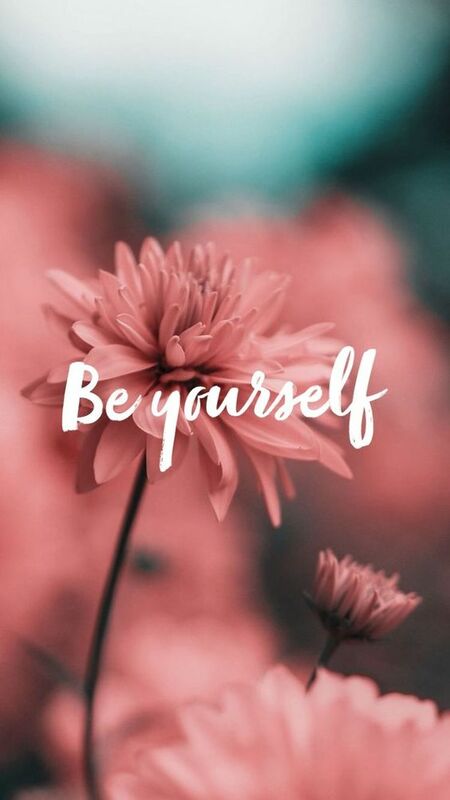 They just love mimicking grown-ups. Now the cake wasn’t exactly what her mummy had in mind as it was a last minute purchase from a local supermarket and it didn’t have any soft icing. 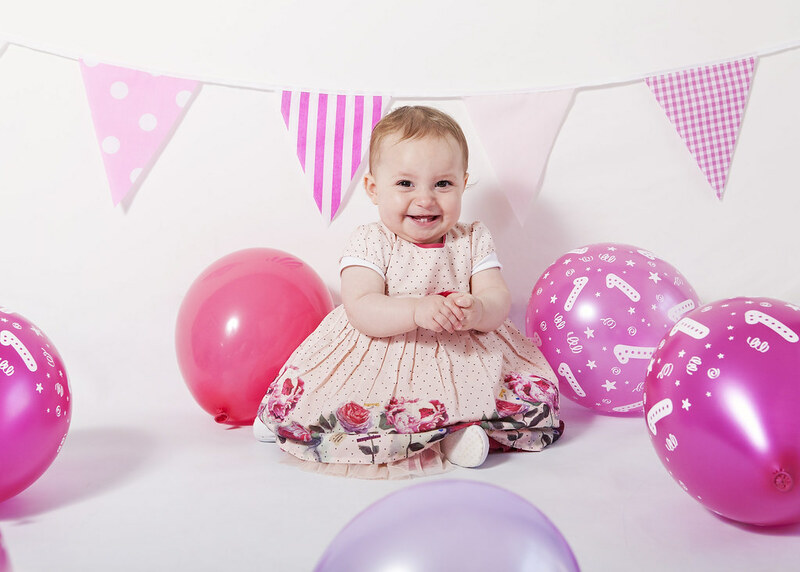 Luckily I had some pink ready-made icing in my cupboard so we could get the messy birthday photos mummy wanted so much as a memory of Darcey’s first birthday. And after all that mess it was finally time to clean up and what better way to do this than in an old tin bathtub with lots and lots of bubbles! 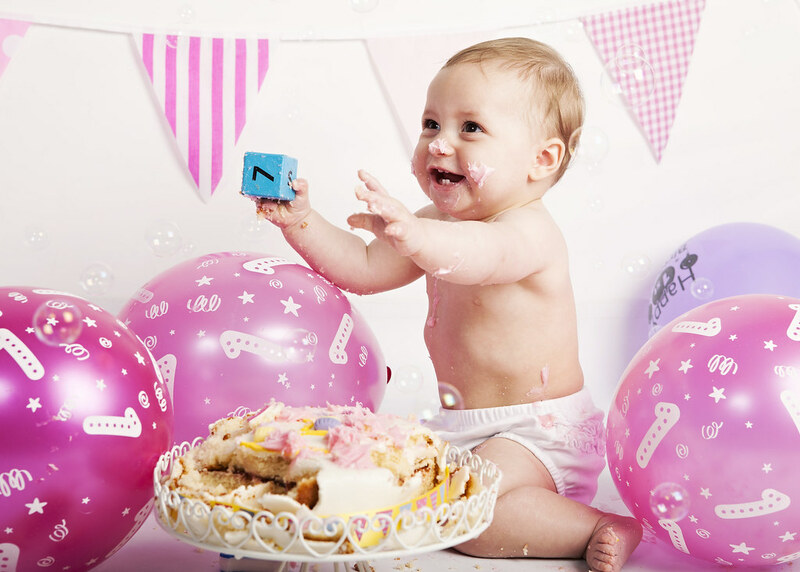 I believe the trend of booing a cake smash session with a professional photographer to celebrate your baby’s first birthday has come from the US and is getting more popular in the UK by the day. I think they are not only great fun but a fantastic way to celebrate this milestone. 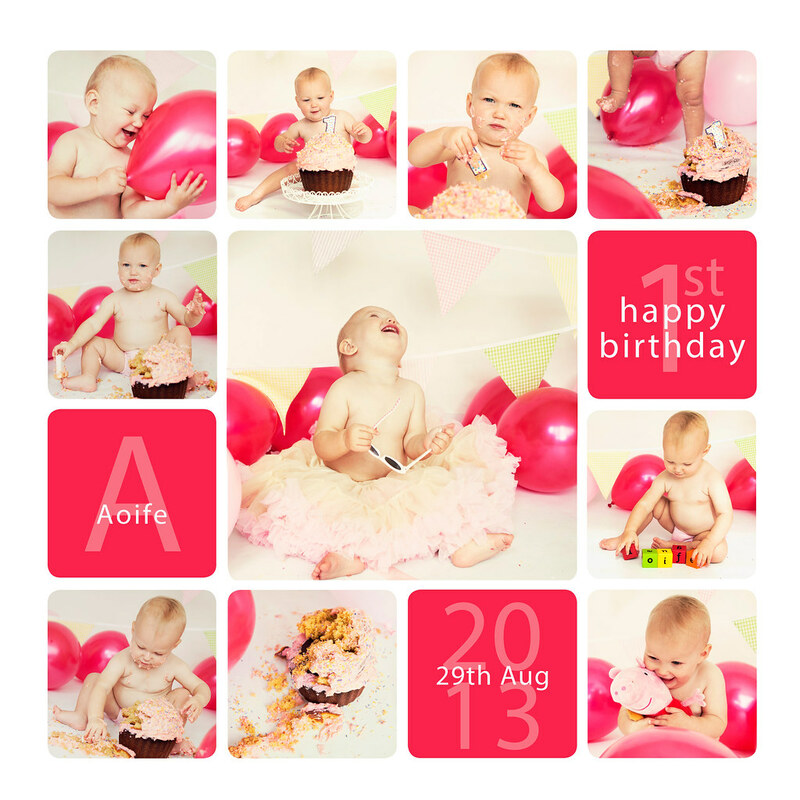 My own little girl Aoife was one of my first Cake Smash subjects when she turned one. No wonder one of her first words was ‘cake’! This was the storyboard display I did for her Cake Smash, something you would get for free also, if you purchase 15 images or more following your cake smash session with me. 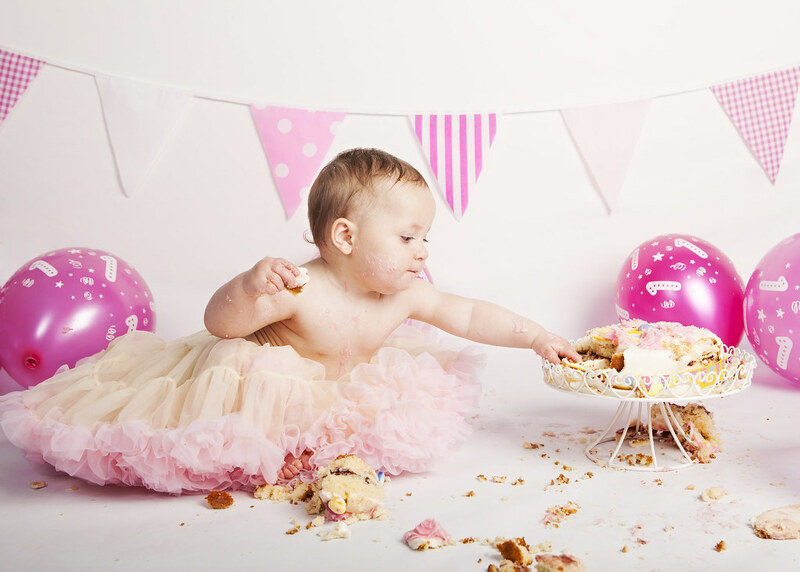 To book your cake smash photography session click here now.